It seems safe to assume that the "pro controllers" will sync with the portable unit as well. Having those only work with a home dock would be monumentally stupid. $299 is the going guess. I wonder if the docking station can be purchased separately so that people can buy more than one and place them in different rooms in the house (without having to buy new system each time). I may not purchase the system day one, but I will get it eventually… I always seem to. … Basically it'll be for the Zelda game. You could just use the Wii U to play zelda. I have an iPhone 6Plus, so screen size isn't issue for me but most games simply don't work well on phones. I play Smurfs' Village and PokemonGo. Sometimes Hearthstone. But for "real" games, we have a 2DS and a 3DS because that's what they were designed for. Mobile gaming is big, but games designed for a good piece of hardware (like a Nintendo portable) are simply a notch above. I agree. Mobile gaming is huge, but the games played on phones simply aren't the same. It depends on the specs, as it is now this is a tablet with a docking station (that charges and does HDMI output). Nintendo has said that the Wii U launched at too high a price point, so I've gotta think that $299 is the absolute ceiling (at least outside of any premium-type bundles) with $249-$299 being more ideal, although that seems like a really tall order for what you get. I guess it depends on what comes with the base package and what's extra. With the way it's being marketed, I'd be surprised if the dock were sold separately, but that's a possibility. Interesting theory, Adam. You're probably right. The "core" tablet & mini controllers could easily be the base system, and people can just add on what they want. That's an extreme case, though. You're taking half a controller and making it a full one temporarily. Cost effective, at least. I don't think there's anything that unique about the hardware here at all that isn't already available (albeit in more complicated fashion and minus the game support) that the Switch is trying to offer here. Yep. 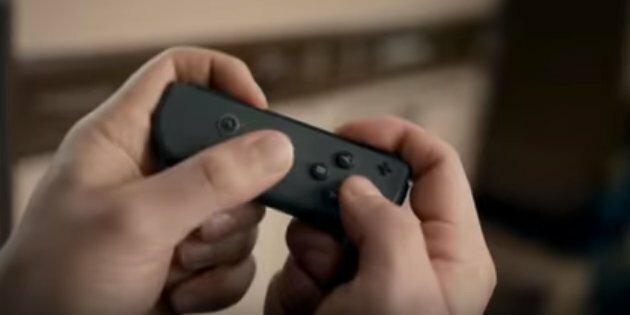 According to Verge, the Switch is indeed powered by a custom nVidia Tegra chip. In many ways, this is essentially the Shield 2.0. $299 starting price seems reasonable. I give nVidia a lot of props on that, they turned their one current failing product into a potentially huge win with this. Don't get me wrong, I like the Shield, but it never really sold that well. The other bit of potential here is PC streaming, that would be an incredibly nice perk for a small subset of Nintendo gamers. I like the look of it, but its not so different from the Wii-U to make me want to go out and get it right away, especially if its on the pricey side. I don't game that much on the go, so for me that side of it is not really as appealing. But its a nice looking machine and will keep an eye on it. When the price comes to a reasonable level i will take it under more consideration. Looking forward to overspending on my next Zelda/Mario machine. If the Zelda game isn't diminished in any way for the Wii U I'll probably stick with that but if there's some ability or function that is better on the Switch I'll wind up with one I'm sure. I don't get the WiiU comparison at all. It's a single-screen system. It just happens to have a small screen you can take away from the tv. I really don't see this doing very well. It seems to be more of a niche product. Nintendo's trying to fill a need that doesn't really exist. It's a "me too" product that's trying to carve out a market from home console gamers, portable console gamers and phone/tablet gamers. But it doesn't appear to be offering much more than what's already out there. And the multi-player scenario sharing the same screen isn't a realistic. The screen is just too small to sit that far back from. The only comparison I guess would be the portable screen with the controllers attached kind of looks like the Wii U controller.